For my comeback in modelling after many years, I want to build an alternatif Panther F.
It will be not a real "what if" project but an Panther which could have in a "twilight zone". Here is my project. I have a panther F alternatif that German engineers have had time to study properly without the pressing of leadership. It'd be leaving on the latest version of Panther and modernize it with the real F . But I would like to make a rational and successful F panther. In short, do what the engineers have done with the P IV with shurzen, more armor etc. ... but without making a whole new tank. A sort of alternate history or an alternative to what happened at the time. I nabbed profiles Panther Ausf G found on the net. I wanted to make custom profiles for giving me the idea of rendering. I inserted the profiles found in my soft drawing (autocad) and I "printed". Details and even more important as the turret that is not the small version of the real F are not considered for lack of profiles. I then made my imagination. In addition to the equipement of the era (including prototype systems), I wanted to make it all more successful, a little more modern. And why not take the current equipement and make it less sophisticated. Instead of traditional Schurzen solid sheet of G, I preferred to take the versions Thoma like that was done on some PZ 4. From what I found on the net, this system was more efficient than the full version. So I made a most successful system that is not too anachronistic and could approach the cage shielding current. I assume that the German engineers could have done something more compact and protected as is done currently. But in less well done. 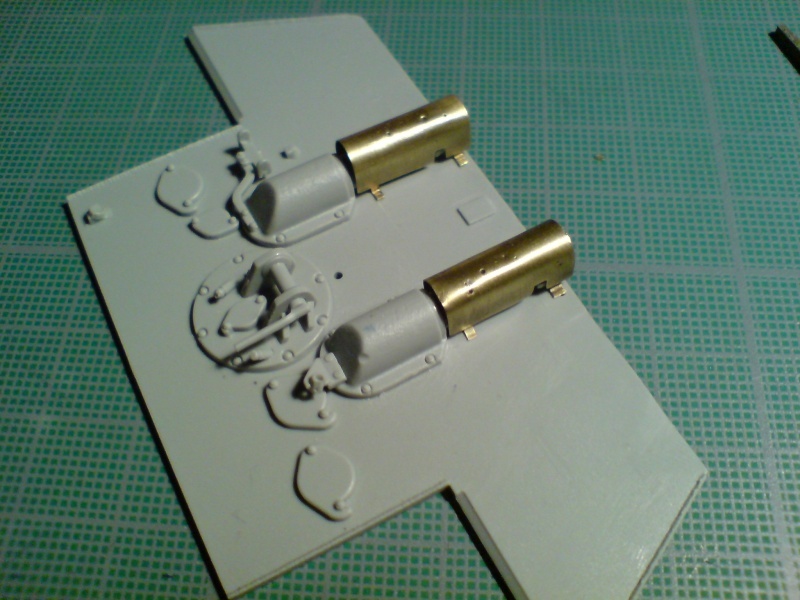 I would like to additional plates bolted / welded to the hull and the turret as the Panzer 4. 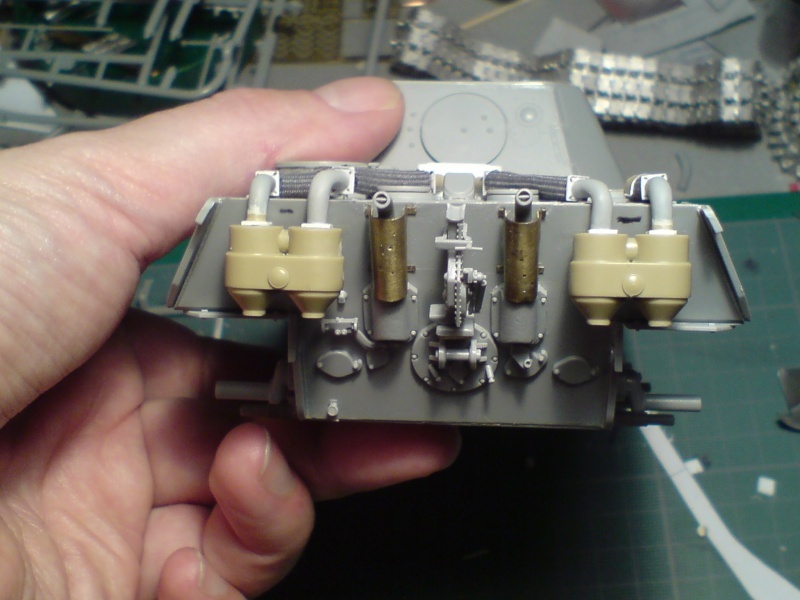 Following advice, I decided to put an MG controlled on the roof of the turret as it was done on some Hetzer / stug. There is an IR system on it. 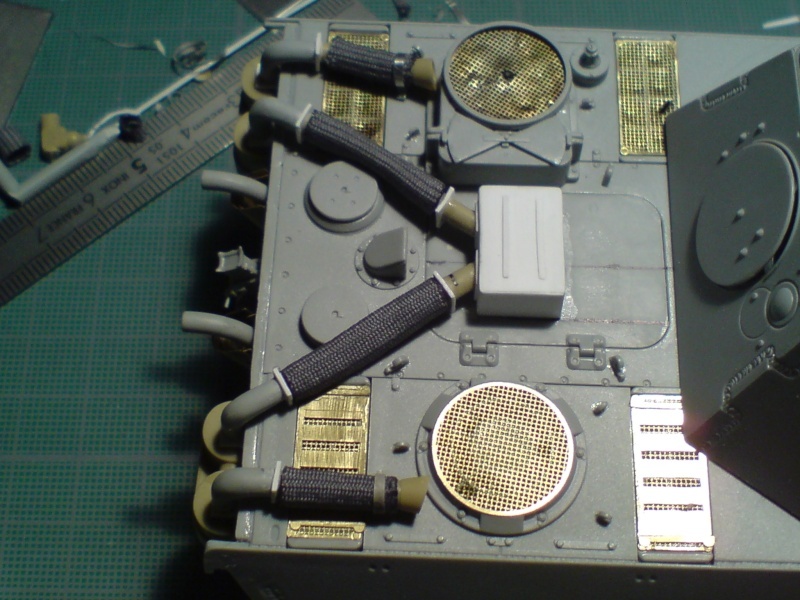 Finally, I Think I dont't put the anti-aircraft machine gun. 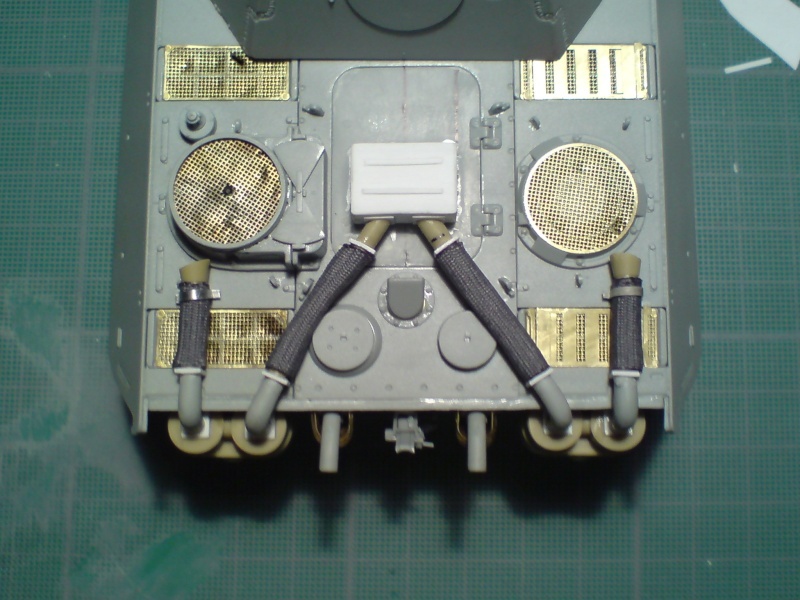 I have arranged a system Feifel rear as it was used in the tiger 1. I just adapted to the hull. I use the boxes back to the sump filters by adding an entry on the side of each box. I choosed the panther F from Dragon. 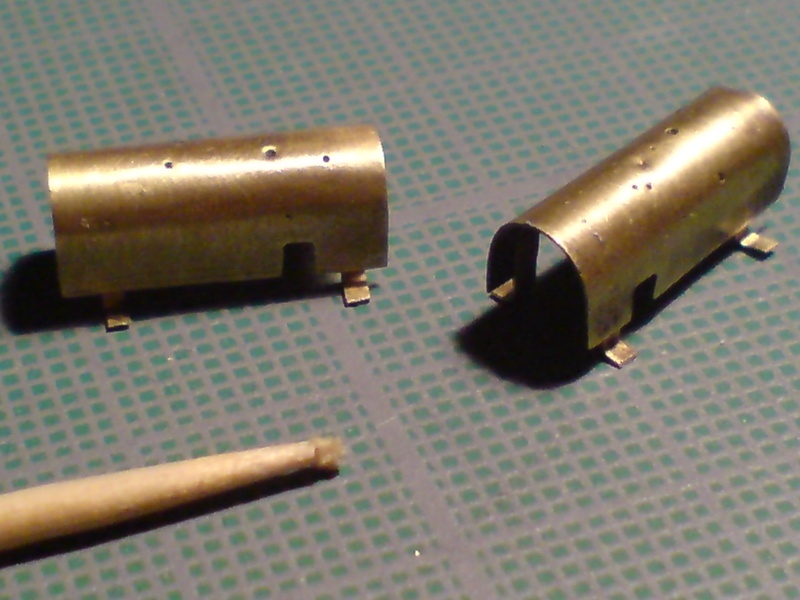 I bought friul tracks and i build home made parts with evergreen and brass sheets. Last edited by bosscat; 04-25-2012 at 05:22 PM. An excellent start and looking forward to updates. since armor is expensive and (in german perspective) difficult and sophisticated battle complex, also thin in numbers, costly to produce... it should be well "kept". meaning, in my vision, those advanced panzers should work close together with infantry, "strumgruppen". therefore i suggest to add some adjustments for infantry which accompanies this panzer. like ladder to rear, for easy embarking, sockets for infantry weapons to the back of turret, panzerfausts. covers for ventilation, some hangers etc. i hope that You see what I mean, despite my maybe confusing explanation. yes, I inderstand what you Said, Google Translate helps me! In fact, my panther would be in a parallel universe where he served in North Africa. He would have fought instead of PZ4 in the DAK during the autumn / winter 1943. Yes, I know I'm crazy Moreover, as I said above, the technical means and materials of german engineer would not occur. African campaign (desert ... etc.) would also embarking on an infantry tank was not important. As you'll see later in my various episodes, I have progressed well and items that you propose is not possible. As promised yesterday, here's the second episode of my project. For more realism, I would replace the dragon cleaning tube in order to damage it and put a some impacts. Dragon offers two versions available of this part. 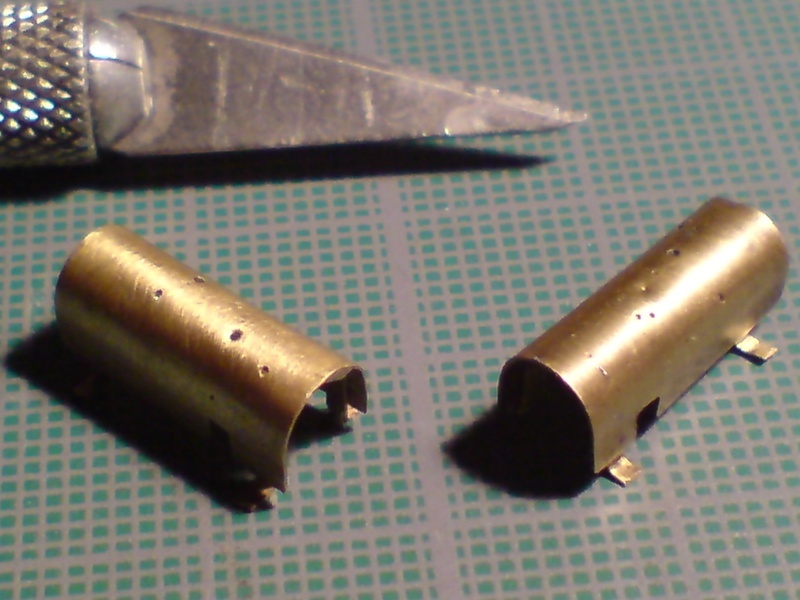 A plastic one into 2 parts and a brass tube. But the tube thickness is such that it is too strong, not distort it. So I choose a sheet of aluminium. After hard work, I managed to have something correct but not enough to satisfy myseld. 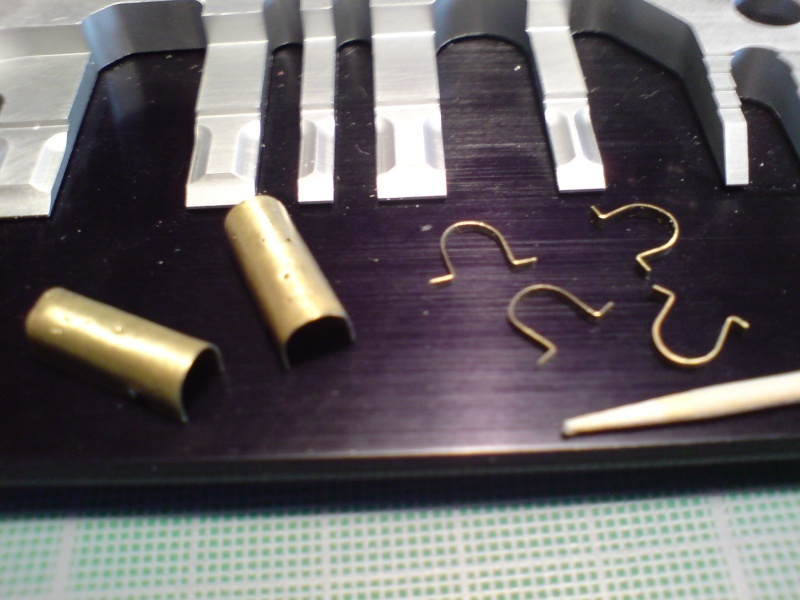 So I build a new part in a brass sheet of 0.2mm. Thus, I could weld the tube. 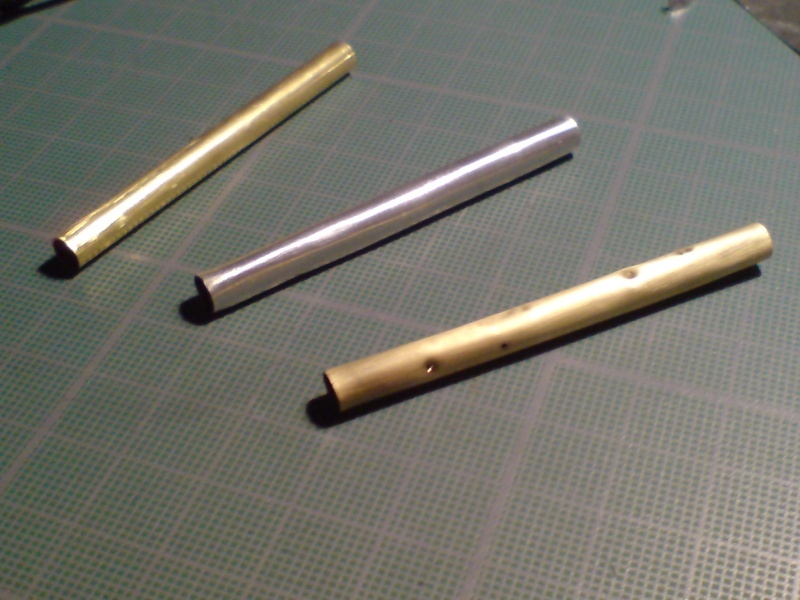 Right, the brass tube supplied by Dragon in the center, my model in aluminum and finally mine in brass. It remains for me to weld and finish it. Now, the adaptation of the Feifel filter based on those of the Tiger 1. A friend of mine gave me all the parts I needed. I kept the prefilters but I have to redo everything. I could not keep the kit as they carried out horizontally. On Panther, it does not pass. Seen from the front, the rear boxes are trapezoidal while the Tiger are rectangular. There is less space to put everything. After having turned out the original, I made sure my new rise vertically. I made plates at each change of direction with plastic card. Ditto for the kind of box above the door. I also made two flanges for the suction. 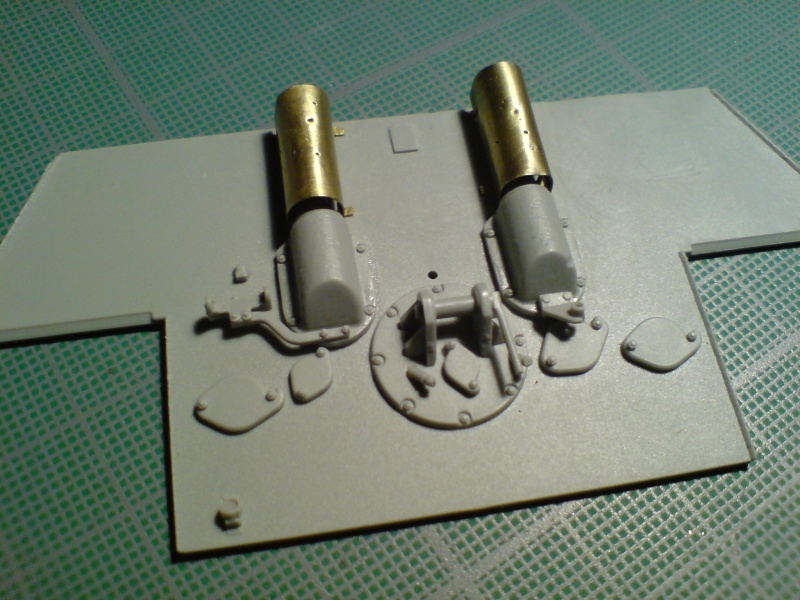 The grey bent pipes are made with styrene home made parts. Well, it's not as nice as I want but I start scratching at one time or another. Some fantastic work here and thank you for the updates.